A North Texas police officer took on the Texas heat to show others just how dangerous it can be. 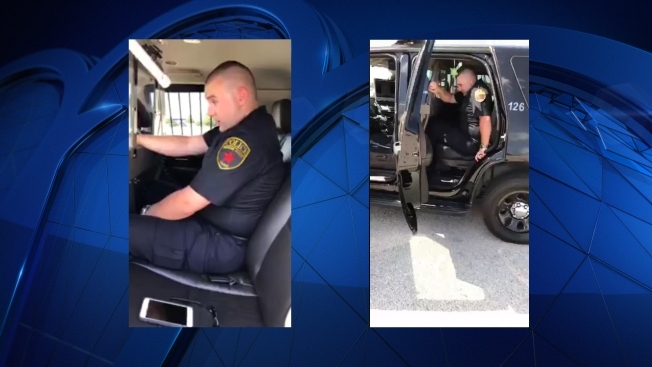 Hickory Creek Police Officer Lane sat in a hot car for 45 minutes as an example of how quickly temperatures inside a vehicle can turn deadly, KRLD reported. A fellow officer documented the experience on Facebook Live. Lane said his vision was wobbly and he had a headache by the end of it. "I'm seeing colors," he said on the video. "I feel like I'm about to black out." The police department hopes the video will show people how serious extreme heat can be for anyone. Two children have died this year so far in Texas. Both were less than a year old. If a child is missing, always check the pool first, then the car, including the trunk. Keep a stuffed animal in the carseat and when the child is put in the seat, place the animal in the front with the driver. Or place your purse, briefcase or cell phone in the backseat as a reminder that you have your child in the car.